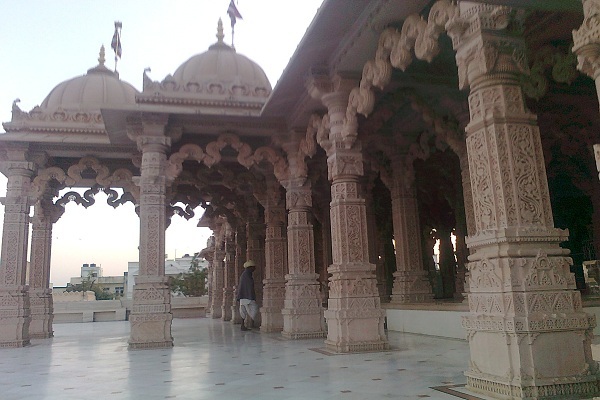 Swaminarayan Akshar Dham Mandir is located in Vaishali Nagar of Jaipur city. Everyone who visits the temple first time gets mesmerized by the rich architecture of this great piece of art. Its amazing scriptures and carvings with South Indian architecture leaves the visitor with no words. The main temple is 10 meters above the rest of large campus. Dedicated to Narayana or lord Vishnu, this temple is well maintained with special focus on cleanliness. Main deities are of Shri Akshar Purushottamji Maharaj, Shri Ghanshyamji Maharaj and Shri Harikrishnaji Maharaj and Shri Radha Govind. All the deities are made of white marble.The magnificent entrance gate and large campus adds to its mesmerizing beauty. The campus is sprawled over 5.5 acres of area and, is in rectangular shape hosting a lush green loan and a canteen for visitors. Major portion of the temple is made of Pink stone of Bansipahadpur and has 64 pillars, 7 mandovars, 16 ghummats, 55 richly carved ceilings.In the night the whole temple is illuminated by lights and looks very pleasant. 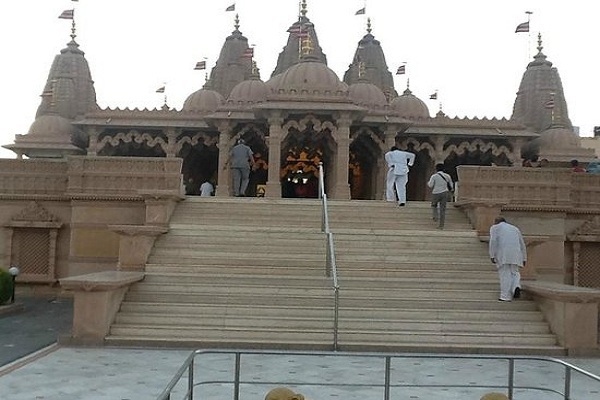 Unlike other temples Akshar dham temple offers peaceful and quite relaxing atmosphere. You may feel absolute serenity all the times with light spiritual music playing in background. 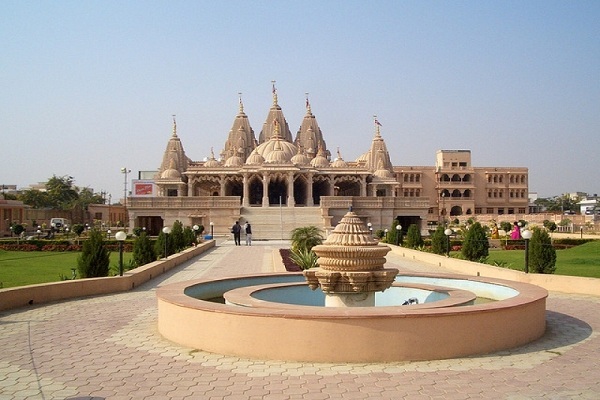 There is a big fountain in middle of the campus along with many parapets for visitors to sit and enjoy the spiritual experience of this temple. Some mysterious force keep the visitors coming again and again to this temple, or may be it's their eternal love to lord narayana. 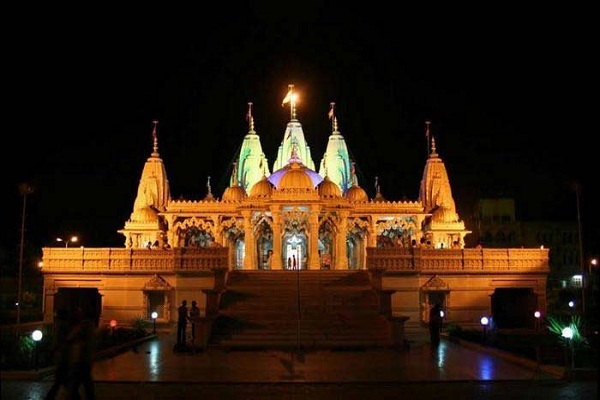 Darhan Timings: Temple opens with Mangala Aarti at 6am and closes at 10pm. The temple is at a 15min. driving distance from Airport, Railway Station & Central bus stand. App based taxis, auto-rickshaw or bus are easily available.